In the mid 19th century there were hundreds of circuses operating in Britain. 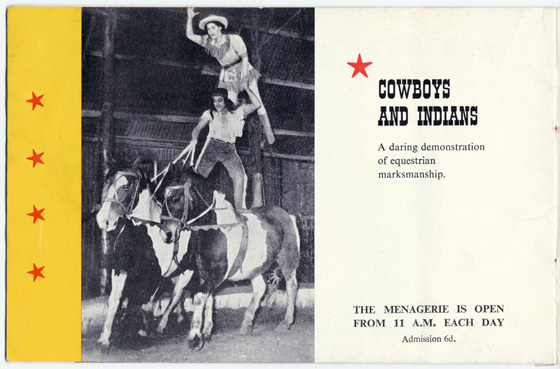 Trick riding continued to be the main attraction, but a variety of other acts developed. There was even an aquatic circus where the circus ring was flooded with water. Such was the popularity of circuses that many 19th century theatres also presented circus acts and you were as likely to see jugglers and aerial acts on a trip to the music hall as at a circus. Trapeze wires were strung from the roof of the Alhambra and other theatres, and trapeze and high-wire artists performed above the crowds sitting in the stalls. Even Drury Lane theatre had a circus ring so it could present equestrian acts. 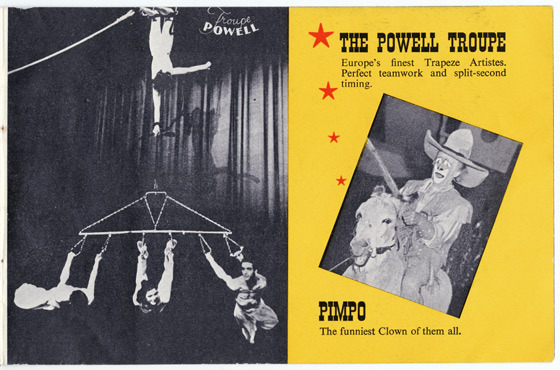 Famous circus proprietors included Banister and West, Price and Powell, Abraham Saunders, the Cooke family, Pablo Fanque, Edwin Hughes, Frederick Charles Hengler, Frederick Ginnett, and ‘Lord’ George Sanger. Circus was a hard business, and Saunders and Pablo Fanque died destitute, but such was its popularity with the general public that circus earned Hengler and Ginnett thousands of pounds, and made George Sanger a millionaire. One of the factors that made circus so popular was that fairground entertainers travelled to their audiences. From the late 18th century circuses toured to even the smallest towns and in the 19th century the development of the railways enabled circuses to travel further. By the 1870s huge circuses were touring across Europe and America with two or three trainloads of equipment. Albert Hengler claimed that the idea for a water pantomime came to him in a dream. He billed his novel show as 'An Entirely New and Original Grotesque Pantomime, entitled A Village Wedding or Tramps Abroad and introducing Hengler's Great WATER NOVELTY'. Comic tramps got married and ran away from comic policemen who fell into the water. Ladies and gentlemen also found themselves stuck up trees, or their boats overturned, and the whole thing was a huge success. 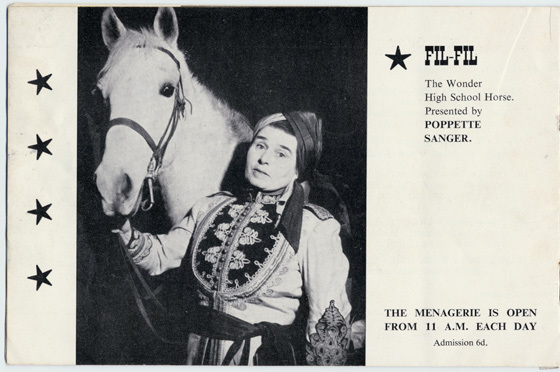 Inevitably the front few rows of the audience were in danger of getting rather wet, and a disclaimer was added to the posters: 'The Management will not hold themselves responsible for any slight damage that might be caused by the splashing of water during the performance'. 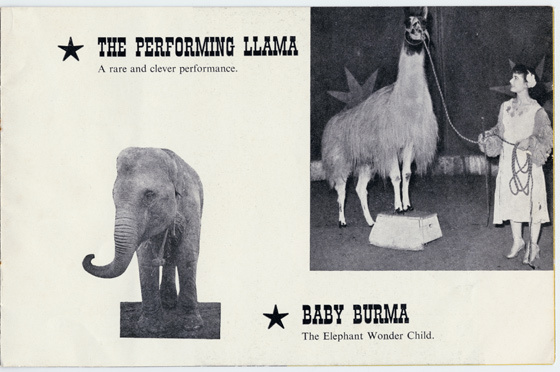 The effect was so successful that it was soon copied at Astley's, and more recently at the London Hippodrome, the Yarmouth Hippodrome and the Tower Circus at Blackpool. 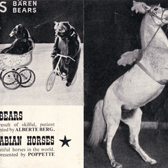 During Barnum and Bailey's Circus at London's Olympia, there were at least ten displays including aquatic acts, aerialists, elephants and an equestrian act featuring 70 horses performing in the ring at once. A military band played before the performance, there were races and ballets, a menagerie and a spectacular re-enactment of a famous American sea battle with the Spanish fleet at Santiago. 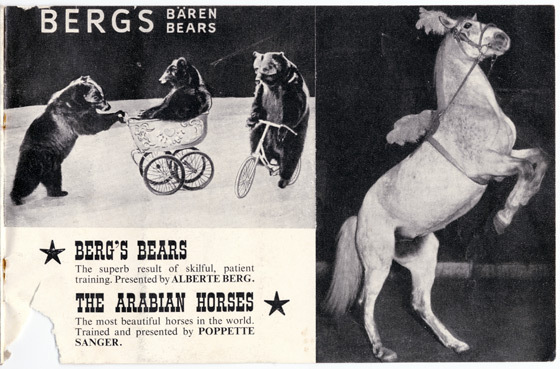 Altogether the circus employed 1,200 people and 380 horses. Until his death in 1891, the highpoint of this circus for most of the audience was the personal appearance of Barnum himself. He was driven into the ring in a carriage, escorted by liveried footmen, telling the audience that he knew that they had really come to see him! Richard Sands was an American acrobat, equestrian and 'ceiling walker'. He ran his own circus, Sand's American Circus, which first visited England in 1842, with a stud of 35 horses and 25 equestrians. Richard Sands later went into partnership with the famous lion tamer Isaac Van Amburgh. Sands presented his 'air walking' act at the Surrey Theatre and later at Drury Lane in 1853, using rubber suction pads attached to his feet. In 1861 however, the stunt ended in disaster in America. He was challenged to walk across the ceiling of a civic building in Melrose, Massachusetts but when a section of plaster he was 'standing' on, gave way, he was killed by the fall. Travelling circus became big business in the 19th century. Philip Astley had first toured his circus to Dublin in 1773, performing in an open air ring. 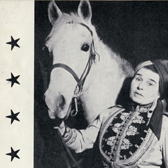 Astley’s Circus toured regularly during the autumn and winter, in the United Kingdom, Paris and to other European cities, despite difficult travelling conditions where the horses pulled the laden wagons on dreadful roads. The earliest circuses in the UK to use some type of canvas construction for their performances were probably the small troupes who appeared at fairs. These comprised an equestrian clown, a tightrope walker, and two or three horses, which pulled the wagons when the circus was on the move. Some would have small tents whilst other circuses performed in the open air with no more than a ring of rope and staves. The audience stood and watched from behind a wooden barrier onto which candles were tacked. Performances were repeated throughout the day whenever there was an audience to watch. Touring circus became known as ‘tenting’. In 1825 Jack Clarke performed at London’s Bartholomew Fair, with placards outside noting that his circus was ‘lighted with Real Gas, In and Outside’. This innovation was probably inspired by his engagement with Astley’s which was first illuminated by gas in 1818. Clarke’s circus was a regular feature of London fairs for 15 years, and some of his descendants went on to become famous trapeze artists and equestrians. Fairground circuses like Clarke’s, although having canvas sides and possibly roofs, were probably rectangular constructions with rings built inside. The type of tent that we associate with the circus today was first used by American circuses in the 1820s. It was introduced to England by Richard Sands’ American Circus which landed in Liverpool in 1842. This was advertised as having a ‘splendid and novel Pavilion, made after an entirely new style’. Sands’ Circus toured England for three or four years, and his tent was enthusiastically imitated. By the 1880s Powell Clarke’s Circus boasted a tent which could seat 7,000 spectators. Originally called the 'Round Top', this shaped tent was first introduced into the American circus in the 1820s by Seth B. Howes, and seated only a few hundred people. As tents became more popular, wagons were added at the side to provide more seating. Difficult and exhausting to set up, tents also had to be 'pulled down' using lantern light (before the arrival of electricity.) Tents were very vulnerable to destruction by fire and weather damage. The weight of unmelted snow could rip the canvas, and many tents had their tops blown off in high winds. The early touring circuses were often small operations, entirely manned by a single family. The company might include a couple of acrobats, a clown who performed a comic equestrian act such as 'The Tailor of Brentford', a tightrope walker, and as many horses as could be afforded - perhaps two trained to perform and two used to pull the cart from town to town. A short show would be repeated several times from noon until night. All the performers had to play several parts, and in the days before the enclosed circus, the company would pass round a hat to collect money from the audience. This flyer from 1798 advertises a slightly bigger operation than these early family circuses, with over 20 performers including Mr Crossman who had already worked at famous London venues such as Astley's and the Royal Circus. Charlie Keith, famous clown and circus owner, constructed and patented the first portable circus building. Keith had made his name touring in circuses around the UK and Europe. He was frustrated with performing in leaky tents with slippery and muddy floors and wanted to construct a touring circus that was sturdier than canvas. In 1882 Keith patented his ‘new travelling building for a circus’, which only featured canvas in its roof. 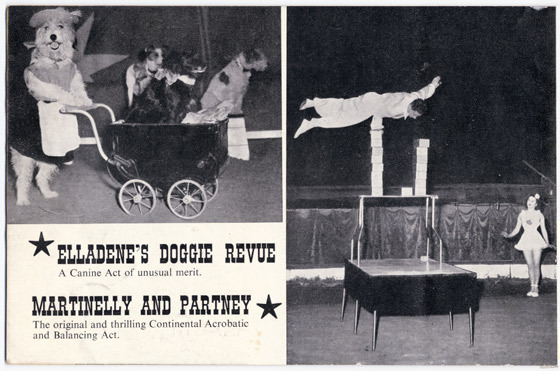 Keith’s portable circus was made of planks of wood nailed together that could be flat packed onto transportation. The building even had its own box office. It was illuminated with gas lights and advertised as having a grand promenade with a fashionable lounge. Keith claimed that his ‘circus building on wheels’ or Keith’s Carriage Circus was an innovation, but Keith was not the first to have the idea, and a similar arrangement had been advertised for sale as early as 1854. 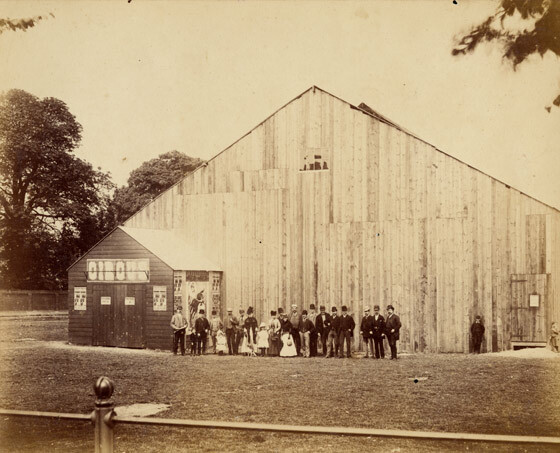 Temporary circus buildings, which many companies used in the early 19th century, were often hastily built and unsafe. The gallery of a Bristol circus fell down in 1799, and in 1848 the wife of the circus proprietor Pablo Fanque was killed in Leeds when the pit and gallery of a temporary wooden circus collapsed. The circus had been built the previous year for Hengler’s and had been due for demolition after its departure. When Pablo Fanque had taken it over he did not realise that Hengler’s men had removed the beam-props to make their get-out easier. 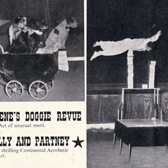 Charlie Keith was admired both as a performer and as a circus owner. A Manchester newspaper described him as 'A little man but a great clown: in fact the King of Clowns'. P.T.Barnum admired Keith's skills as a circus proprietor, describing him as 'the smartest I have seen in England'. Keith wanted to be an acrobat and began his career as a tumbler. After a tour in Jersey with the Brothers Ridley, the clown left the troupe and Keith's first performance as a clown took place in 1859 during the Cowes Regatta on the Isle of Wight, where Queen Victoria may have seen him perform. Keith later made good use of his 'royal' performances for publicity purposes, producing posters listing The Queen and Royal Family of England, Napoleon III, and The Czar of Russia as his 'distinguished Patrons'. In December 1859 he appeared with Myer's American Circus at Birmingham where he appeared as an acrobatic clown. 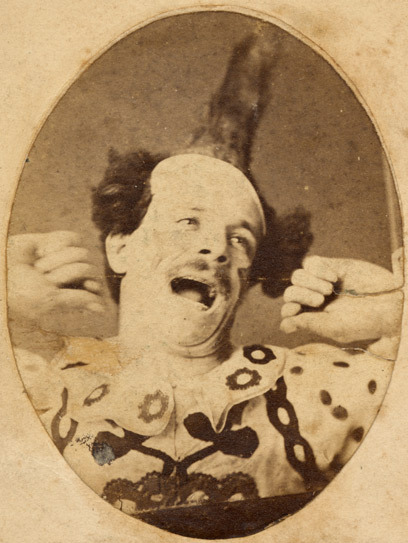 In the 1860s Charlie Keith toured France, Spain, Belgium, Germany and Italy and returned to England to tour with Franconi's Circus. Despite his popularity, he found that no circus was willing to employ him under his own terms and conditions. So, in May 1868, he opened his own circus, a portable wooden building which he called Grand Cirque Imperial at Exeter, featuring his own troupe of riders, jugglers and gymnasts. Although his circus was popular, his expenses were considerable and he lost a great deal of money. Tradesmen overcharged him for work they had done for him, thinking that a circus with such large audiences was bound to be wealthy. 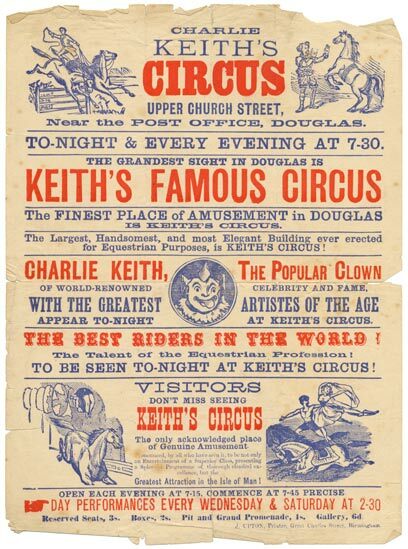 Charlie Keith's playbill for his season in Douglas on the Isle of Man implies that the whole circus was performed by Keith himself since he is the only person named on the bill. This shows his canny business sense. 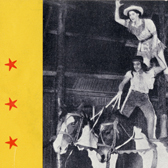 As he did not keep the same company for the entire season, he produced a general playbill, saving himself reprinting costs. Keith spent his money instead on erecting the first permanent circus building on the Isle of Man, which was 'brilliantly illuminated' by gaslight. 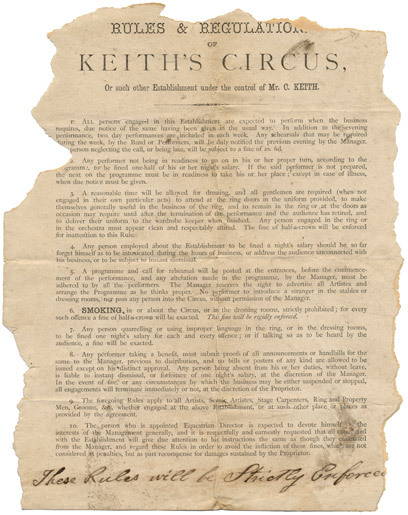 He advertised 'entertainment of a superior class', which included riders, gymnasts, acrobats, horses, dogs and monkeys as well as a band and Keith's own performances as one of the clowns. Keith also produced 'spectacles' including Cinderella and the Little Glass Slipper in which 100 local children aged four to ten took part. These rules and regulations show that Charlie Keith's Circus was run with great discipline. Performers were fined half of one night's salary if they were not in their places ready to perform at their allotted time and the next performer on the programme had to be ready to go on in case of mishaps – the audience should not be kept waiting. Rule no.4 shows that there were strict fines for drunkenness during working hours. The sternest warning accompanies the rule on smoking (no. 6). Fire was always the greatest risk to the circus, because of the danger to the animals and the artistes, and also to the circus building itself. Keith's Circus had been razed to the ground by a fire, and he nearly went bankrupt. Anyone found smoking in the circus or in the dressing rooms of Keith's Circus was fined. Charlie Keith patented the idea of a 'new travelling building for a circus' in 1882. He disliked working in conventional touring tents which inevitably leaked and were uncomfortable for performers and audience, so instead had built substantial but temporary wooden structures wherever he went. 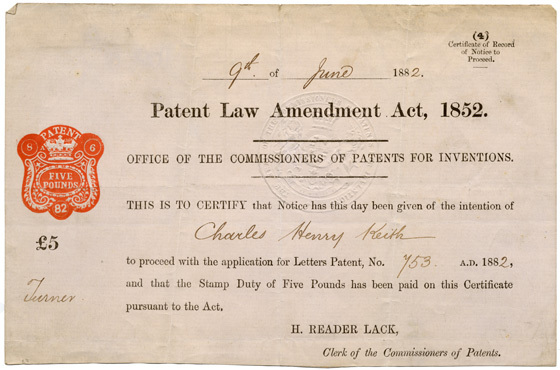 Having established the patent in February, Keith began work on the design, and spent approximately £2,000 on the project, a huge amount for his day. By April he had opened for business in Huddersfield, in what The Manchester Guardian newspaper described as 'The Greatest Novelty of the Present Age'. The circus consisted of a ring of ten 'monster' carriages with cushioned seating, and a canvas covering above the ring and seating, held up by a central pole. The carriages were beautifully painted inside, with doors at either end so that one could walk around the whole ring without stepping outside. The circus was fitted with gas lighting and could hold an audience of about 1,500. Charlie Keith and his new business partner, Palmyra, erected this temporary circus building on Midsummer Common, Cambridge. The posters around the entrance advertise a 'ten week season' from Bank Holiday Monday, 4 August 1890, with tickets costing a shilling for the pit and two for a box. This ticket was probably issued in 1894 in Nelson or in 1895 in Blackburn, as these were the only two places when admission was fourpence. 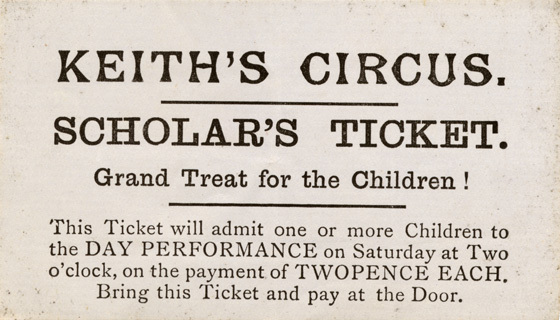 This 'Scholar's ticket' was one of Charlie Keith's attempts to offer lower admission prices to children. In later years children were offered half priced tickets to the Pit and Promenade at Keith's Circus. At the Day Performances on Thursdays and Saturdays, tickets to all parts of the circus were sold at half price to children. 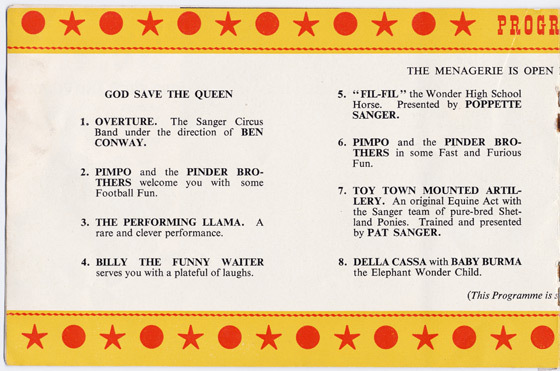 Wealthy patrons could buy a season ticket, which would admit them to all parts of the circus at every performance, while there was a range of prices for Boxes, Pit or Promenade. There were no seat numbers in the circus. Once you had bought a ticket for your chosen part of the circus you simply went in and found a seat. The larger circuses would announce their arrival in town with a circus parade. The parade was a natural advertisement for the circus and would attract huge crowds. In 1843 Edwin Hughes, an acrobat and manager of Batty’s Circus in London, set up his own circus, ‘Hughes’ Mammoth Equestrian Establishment’. To advertise the arrival of his circus in town, he mounted an impressive parade which featured decorated and gilded coaches pulled by elephants and camels. Because the parade was so spectacular, Hughes printed equally impressive posters to advertise the time of the arrival of the parade in the towns he was visiting. Hughes, suitably dressed in exotic costume, rode in the lead carriage, advertised as ‘The Burmese Imperial State Carriage drawn by Elephants’. Hughes retired in 1847 on the profits of his circus and sold his chariots to America where they helped create the American tradition of circus parade wagons. Other British circuses began to feature parades. Lord George Sanger’s parades were lavish events. His wife would travel in the lead carriage sometimes dressed as Britannia with a gold shield and trident and a lion at her feet. However, nothing could rival the American circus parade. In 1880 Forepaugh’s parade took five hours to travel through the streets of New York. When Barnum’s came to London’s Olympia in 1889 they travelled with 450 performers, 300 horses, 21 elephants, 32 cages and 35 parade and baggage wagons. Unfortunately the London authorities would not allow them on the streets. Seven years later when Barnum and Bailey did an extensive British tour, parades were held almost everywhere with a three mile procession, five band wagons, hundreds of mounted elephants and a steam engine. This shows Barnum and Bailey's Circus parading along the Prince of Wales Road in Norwich in 1899. 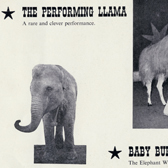 Barnum and Bailey's were touring the country by railway that year, and the circus included a menagerie, a military band, 70 horses and collection of 'living human curiosities'. Touring circuses in the late 19th century were much grander affairs than they had been when circuses first went on the road one hundred years earlier. A big parade through town to advertise their arrival became standard practice. During the tour pictured here, there was a slight accident when the parade passed through King's Lynn in Norfolk. A '40-horse hitch' (a wagon pulled by 40 horses) damaged the front of a pub called The Mayflower. The resulting publicity more than made up for the expenses incurred by the owner, and he renamed the pub the 'Forty Horse Inn'. When Sanger's Circus arrived in town in the late 19th century, it did so in style. This carriage which weighs ten tons, was drawn by four cream horses in 'royal state harness' as part of a grand procession. All the carved woodwork on the carriage was gilded. Mrs Sanger sometimes dressed as Britannia and rode on top holding a Union Jack shield, a gold trident, and wearing a Greek helmet. Nero, the circus lion, and a lamb sat together at her feet. After this came a string of camels, a herd of elephants, numerous other costumed characters, exotic animals either in cages, or led by their trainers, and of course, the band. During World War II the gilt on the carriage was scraped off and sold and the increased traffic on the roads meant that Sanger was forbidden by the authorities to clog them up with spectacular, but slow processions. 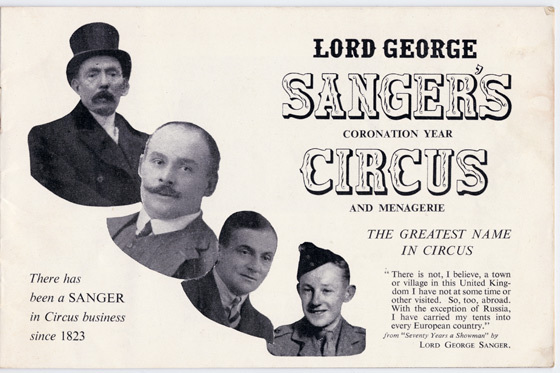 ‘Lord’ George Sanger was the most successful circus entrepreneur of the 19th century. An eccentric millionaire notorious for being a smart dresser, Sanger was instantly recognisable by his shiny top hat and diamond tie pin. Sanger had started in business at the age of 15 selling sticky rock confectionery. In 1853 with his brother he opened a circus which toured the country. 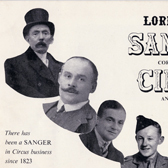 By its 1855 tour to Liverpool, Sanger’s Circus was playing before large audiences. 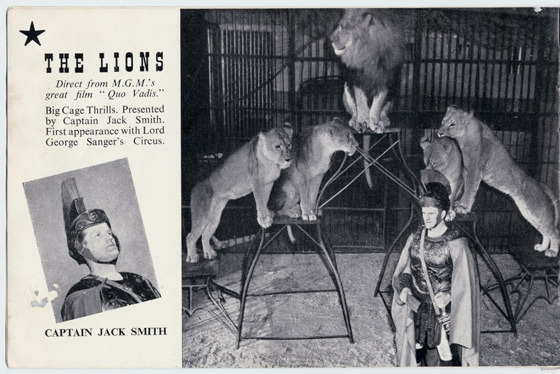 Soon after this Sanger introduced lions and other wild animals into the touring circus and this boosted its popularity further. 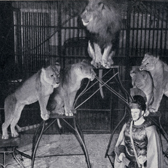 Sanger’s wife Mlle Pauline de Vere had performed at Wombwell’s Menagerie as the Lion Queen before joining his circus. At Sanger’s she performed serpent dances in the lions’ cage. In 1871 Sanger was so successful he purchased Astley’s Amphitheatre. His circuses continued to tour the country and he boasted that there was not a town in England with a population above 100 people that had not been visited by a Sanger’s circus. 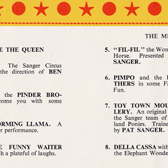 Sanger was responsible for introducing the 3-ring circus enabling audiences to watch more than one act at a time. This was taken up by the great American circuses, Barnum & Bailey and the Ringling Brothers. By 1898 ‘Lord’ George had presented Royal Command Performances for Queen Victoria at both Sandringham and Balmoral Castle. The Queen was a great fan of the circus. Born in Newbury, Berkshire, in 1827, George Sanger was one of Britain's leading circus proprietors. He had started out with a side show of attractions such as 'The Wonderful Performing Fish' - goldfish which pushed little boats around (boat and fish were actually attached by a noose of fine wire). 'Lord' was a nickname rather than an official title, but he certainly looked the part. (This is one of the few photographs where he is not wearing his characteristic shiny top hat.) It was rumoured that Queen Victoria had given him a peerage for allowing her to put her head inside one of the performing lion's mouths. Actually George Sanger had granted himself the title and he started quite a fashion. 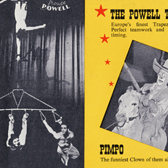 A rash of 'Sirs', 'Captains', and even a 'King' appeared in the posters and programmes of rival circus companies. All elephants kept in captivity need regular pedicures. Elephants in the wild walk between five and seven miles a day over rough ground which keeps their nails short naturally. The nails need to be kept clean and short to prevent infection. Skin care is also necessary. Elephants are scrubbed with soap and water and then rinsed down to keep their skin soft and supple, and if necessary they are given a coat of oil. The animal pictured here is Charlie. As a young elephant, Charlie had played with Lord George Sanger's grandson (also called George). The elephant would wrap his trunk around the child and swing him backwards and forwards. As an adult animal Charlie became the largest elephant ever seen in England and performed with the Circus for many years. However as he grew older, he became grumpier and more dangerous. Eventually he killed one of the Circus carpenters in a fit of temper and Lord George Sanger had the animal put down.